G-form is a company founded by different athletes, which all had the same vision of how knee protection pads should be made. Although they represent a wide variety of sports, they all wanted to develop products, that would come from the athlete’s point of view. Since the creation of G-form, their team has grown greatly, and their product lines have also evolved, because now on top of making knee pads they also create products for your electronic devices to even military equipment. Although this company has experienced massive growth, core idea has not changed – creating products which would help and benefit athletes in all sports, eliminating pain, ensuring complete protection and helping sportsmen achieve the best results possible. G-form knee pads are intended for many different sports, but especially for mountain biking, BMX, skateboarding, and snowboarding. Even though these knee pads are designed for extreme sports mentioned above, they are suitable also for other sports like soccer as well, providing the same protection for your knee. Mountain biking, BMX, skateboarding and snowboarding are all extreme sports, and often extreme sports athletes fall during training sessions or even at competitions, exposing themselves to different injuries. Knees are injured most often, therefore, need the most protections, hence knee protecting pads should be an essential part of equipment for every sportsman. Thus G-Form Pro-X knee pads are designed to provide maximum protection even during tremendous impacts on very hard surfaces, for example, rocks or concrete. Although G-Form Pro-X knee pads provide strong protection, they are low profile and not bulky, making these pads wearable even in casual settings. And they are very flexible and easy to ride with. The knee brace is available in four different colors, providing some variety in choice. These four colors include black brace with yellow accents, black brace with gray accents, black brace with red accents and finally yellow and black brace. Although all options are somewhat similar to each other, and only front padding changes in design, the few options that they do provide give the consumer a feeling of choice. And despite the fact that for knee braces design and color are not the most relevant features, when a choosing product, some consumers do tend to pay attention also to products design. The G-form knee pads are available in five different sizes – extra small, small, and medium, large and extra-large. However, when choosing appropriate size one should be very careful, as these knee pads do tend to run on the smaller side. However, if they do turn out to be a bit too tight, they should stretch out to the right size after first few times of using the knee pads. The smallest size available is 14 inches (35.5 centimeters) around the thigh and 11 inches (28 centimeters) around the calf, and the largest size going up to 20 inches (51 centimeters) around the thigh and 18 inches (45.5 centimeters) around the calf as it is more finely outlined in chart below. G-Form X-Pro knee pads are manufactured for extreme sports and designed by sportsmen themselves. These knee pads are perfect if you want to protect your knees but don’t want to feel discomfort while working out. Carefully selected materials and design provide maximum comfort and protection but you feel as if you don’t have anything on. Also, these G-form knee pads are perfect even for hot weather as they are lightweight and breathable. Five sizes are provided, having options for any size needed. And even if knee pad could seem a bit stiff and small at the beginning, its design allows it to stretch and take necessary size and position. 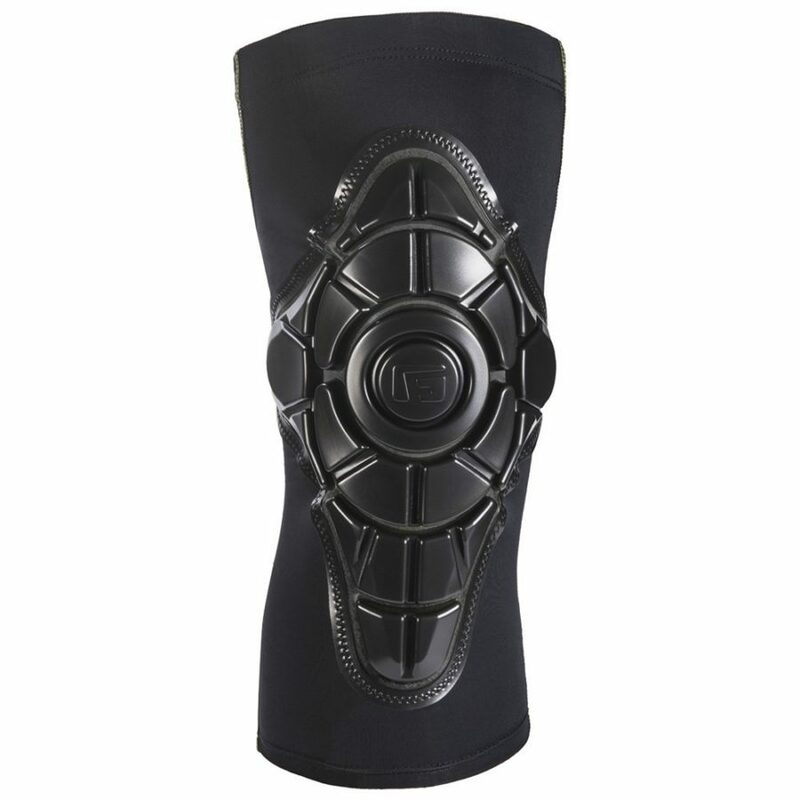 Altogether, although this product is pricier than most knee pads, you will definitely get your money’s worth because of protection and comfort it provides, keeping your knees protected even when intense impacts occur.